What Are IV Line Identification Labels? IV line identification labels help ensure the accuracy of critical information. Nurses and medical care providers use IV line identification labels to meet internal protocols, maintain regulatory compliance and elevate patient safety. IV line identification labels communicate substantial information to medical professionals during patient care. They help monitor IV fluid levels, prevent medication line mix ups, organize multiple drips, highlight medications added to the IV, ensure IV site care, highlight when an IV change is due and more. United Ad Label provides IV line identification labels adhere effectively to IV bags, lines and more. They come in a variety of formats and colors ensuring that information is communicated effectively. 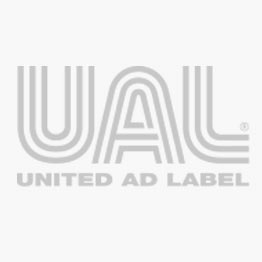 UAL IV line identification labels are in stock and available for immediate shipment. Identi-Line Label, 3" x 7/8"
DISCARD DATE, 3" X 7/8"
FOLEY CATHETER, 3" x 7/8"
PHENYLEPHRINE, I.V. Line Identification Label, 3" x 7/8"
NOREPINEPHRINE, I.V. Line Identification Label, 3" x 7/8"
FEEDING TUBE, 3" x 7/8"
Line Identification Label, 3" x 7/8"
EPIDURAL CATHETER, Line Identification Label, 2-1/4" x 7/8"
VERSED, I.V. Line Identification Label, 3" x 7/8"